This cute baby knot hat will keep your little one's ears nice and warm. 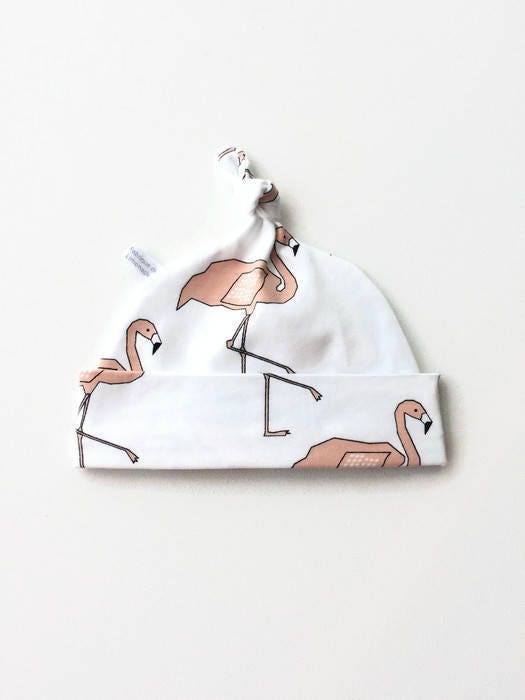 Each hat is made from organic cotton jersey knit fabric with pink flamingos. The fold over band keeps it comfortably in place while being soft and gentle. All items come ready for gift giving. Please convo me if you need a gift tag. This item is custom made, so there is a turnaround time of approximately 6 working days. Pattern placement may vary.